This is Bluhm's moment of perfecting his métier and setting the highest standards for himself and his painting. These early paintings from the 1950's are both methodical and yet mystical. 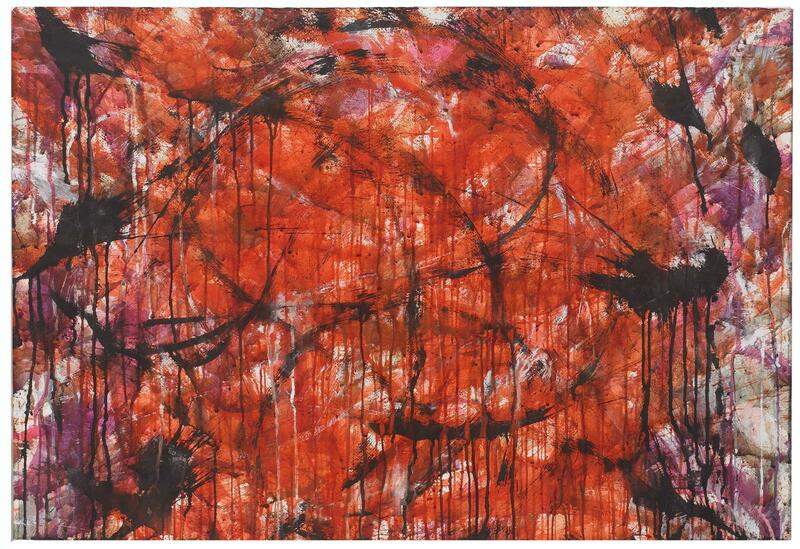 In Untitled 1957 there is a strict underlying grid which governs the explosions of paint. This grid is a view into his future works where the structure is more apparent and plays a central role in the compositions. In these works the rhythmic underlying patterns that lend order also suggest sequential snapshots of clouds or explosions viewed at high speed. There is a rapid-fire intensity, seriousness and expansiveness in this decade of works. 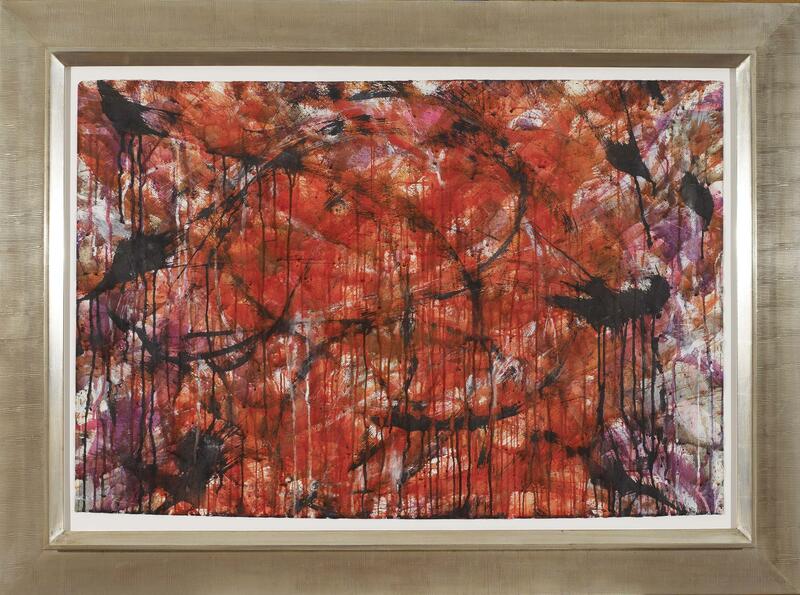 Alongside Alfred Leslie, Joan Mitchell, Sam Francis, and John Chamberlain, Norman Bluhm was one of a group of artists who followed in the path of Jackson Pollock as one of America's second generation Abstract Expressionist painters beginning in the 1950's. 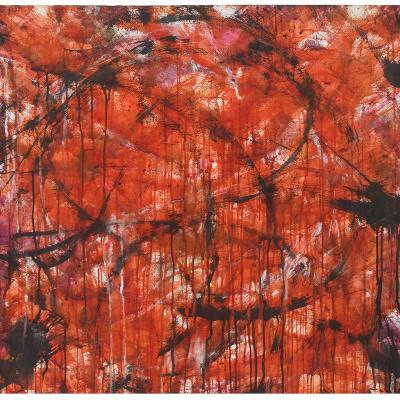 Norman Bluhm embraced abstraction and placed his own personal stamp on it. He melded figurative elements, eroticism, and calligraphic elements to create works that were undeniably his own. His works were less a product of historical art movements and orthodoxies than the personal distillation of his life's experiences as well as an incisive knowledge of history of art itself. He was able to stamp his own art with a contemporary flavor while remaining true to what artistically had preceded him. Bluhm was confident enough in his own talent to pay homage to Europe's legendary history of art without compromising his own legacy as a truly American painter. 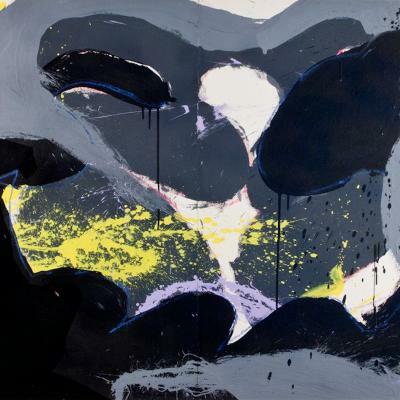 Bluhm acknowledged the influence of Franz Kline and De Kooning on his work. 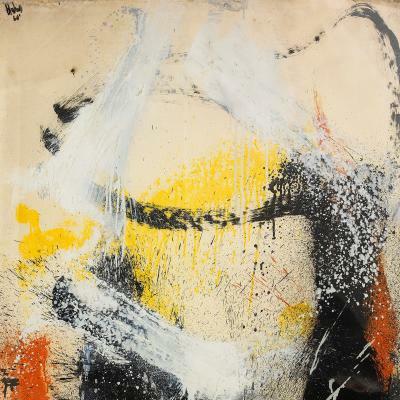 Untitled 1957 is a work thatshares many of their similar and easily identified characteristics, particularly in the contrasts between sweeping arcs applied with Bluhm's brushwork against the background of the paper.